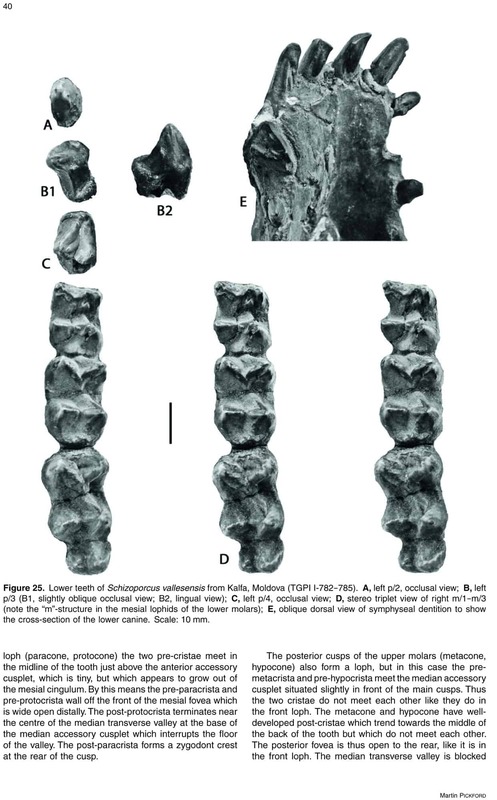 This paper focusses on the Neogene fossil record of what used to be called “Old World Tayassuidae” or “peccary-like suoids” (in recent literature – Palaeochoeridae). New fossil discoveries in the German Bohnerz deposits provide the basis for a revision of the European Neogene Suoidea, revealing that the traditional bipartite subdivision of the Eurasian members of the superfamily into two families, Suidae (true pigs), and peccary-like mammals (Palaeochoeridae or false pigs) is no longer tenable because the latter family groups together a heterogeneous suite of suoids that are only united by the fact that they are not suids. The bipartite subdivision represents an old approach to suoid systematics reflecting a deep-seated lumping approach to suiform studies on the part of most researchers, which has only recently become articulated as problematic. 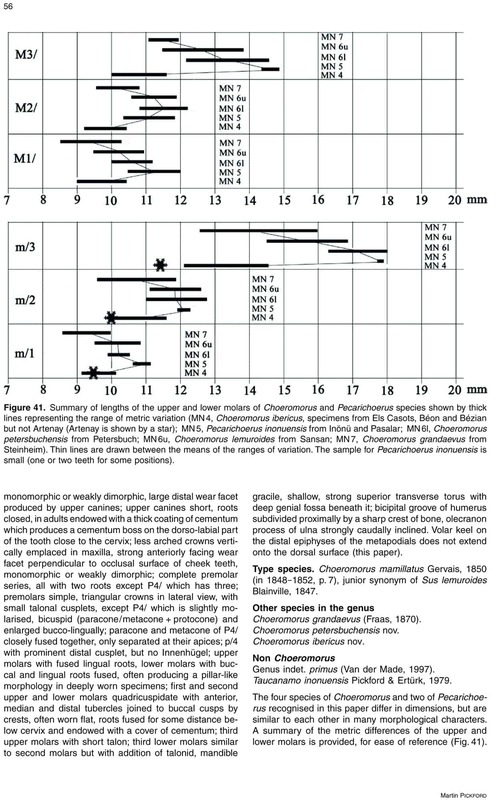 The new suoid fossils from the Bohnerz and other European Oligo-Miocene deposits indicate that, at the family level, the taxonomic diversity of Suoidea is greater than was previously suspected, comprising at least six families – ) Doliochoeridae (Doliochoerus, Lorancahyus, Propalaeochoerus, Bransatochoerus and probably Dubiotherium), ) Schizoporcidae (Schizoporcus), ) Sanitheriidae (Diamantohyus, Sanitherium), ) Siderochoeridae (nov.) comprising two subfamilies – Choeromorinae (Choeromorus, Pecarichoerus and Yunnanochoerus) and Siderochoerinae (Siderochoerus), ) Hippopotamidae nd 6) Suidae (the two latter groups are not discussed in detail in this paper) nor are the New World Tayassuidae. 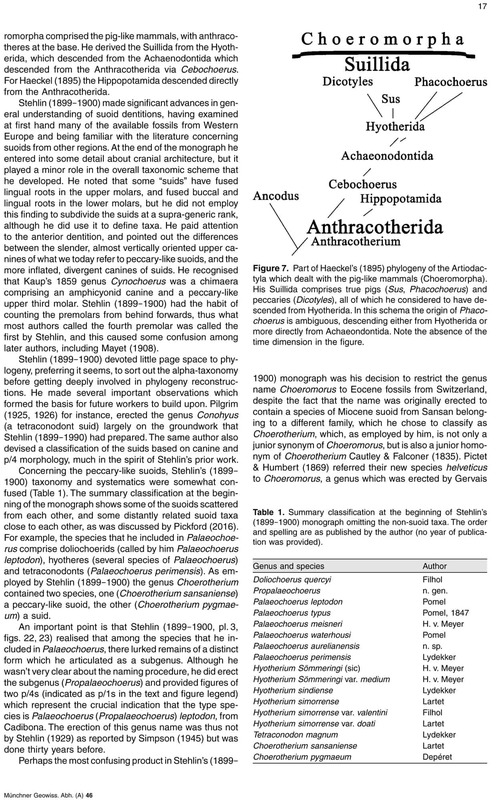 One new genus and three new species of Siderochoeridae are described. This paper complements a recent revision of the Suidae from Europe. 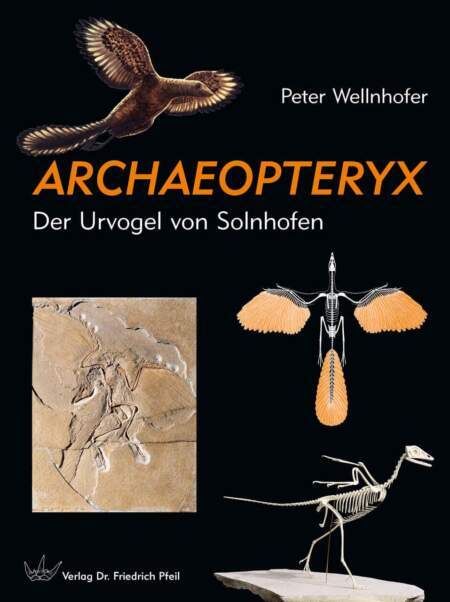 For over two centuries, the Bohnerz deposits of Southwestern Germany have yielded Palaeogene and Neogene mammalian fossils, and as quarrying for blocks of limestone continues, new palaeontological discoveries are constantly being made, often comprising better preserved material of known taxa, but occasionally including hitherto unknown taxa. 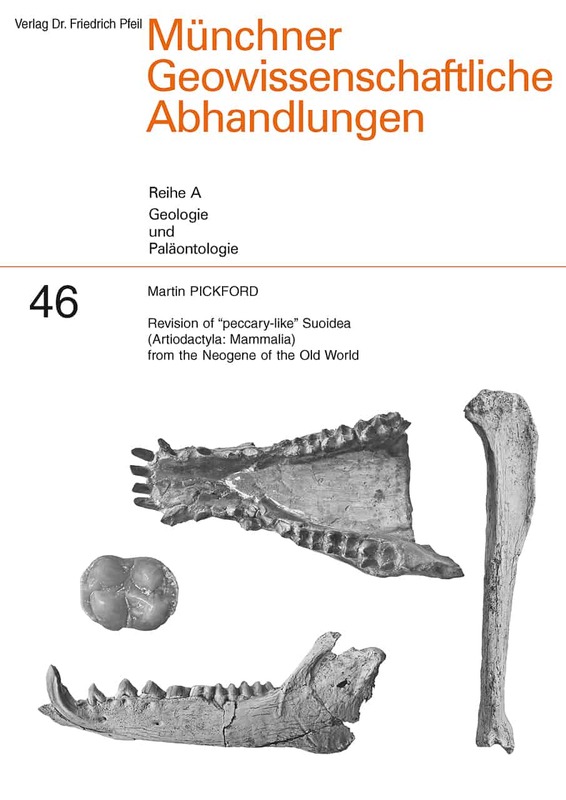 This paper describes “peccarylike” suoids from Bohnerz deposits in the Franconian Alb spanning much of the basal and middle Miocene. Some of the fossils are remarkably complete and reveal that previous identifications and interpretations of these small suoids require reassessment as does the content of the superfamily as a whole. Fossils from other localities in Europe (Fig. 1) are compared with the new fossils. The stratigraphic coverage spans the Late Oligocene to the base of the Late Miocene (Fig. 2). Bohnerz in the Swabian and Franconian Alb comprises sedimentary infillings of fissures eroded into Jurassic Limestone beds. The limestone is extracted in large blocks used in the building industry. Fissures are frequently encountered during the mining activities, and the fossiliferous bohnerz (‘bean ore’ in English) infilling them are eventually destroyed as the walls of the open cast mines advance over the outcrop. Fossils in the bohnerz would be lost due to the mining activities were it not for the constant surveys and sampling carried out by a few dedicated and interested individuals. 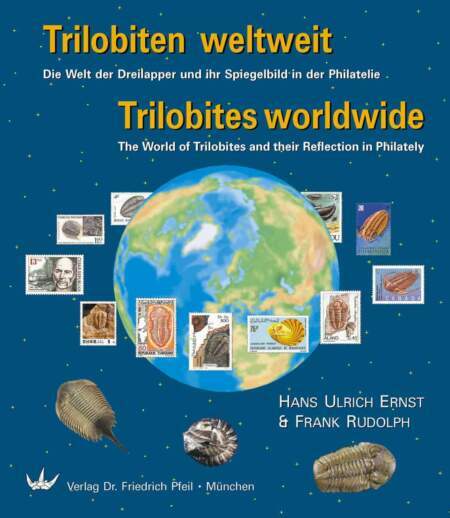 Dr. Michael Rummel (Weißenburg, Augsburg) is one such person, who has spent several decades surveying the quarries and mines, and has amassed an important collection of vertebrate fossils ranging in age from Eocene to Late Miocene. 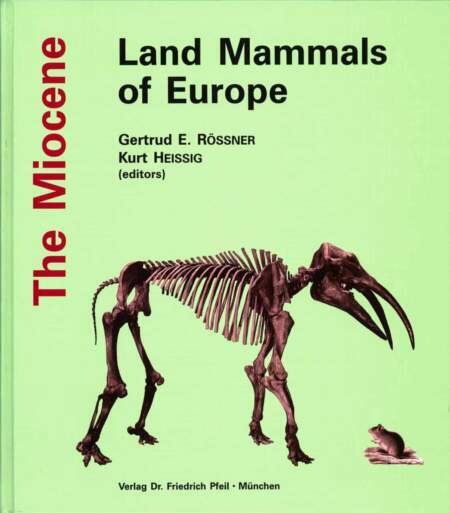 Among the collections made by Dr. Rummel and by Ulrich Schmid, there are interesting suoids (pig-like mammals) which comprise the focus of this paper. The fossils collected are among the most complete known for their respective species and warrant detailed examination and comparison. The suids in the collections, which have already been published, permitted an in-depth revision of the Neogene hyotheriine Suidae of Europe (Pickford, 2016). 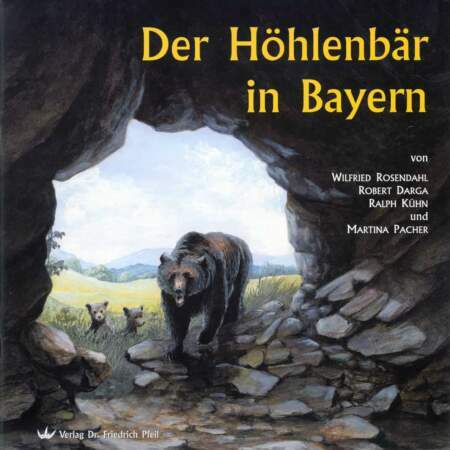 This contribution focuses on the “Old World Peccaries” of the Bohnerz. It has been necessary to carry out a detailed revision of the Eurasian taxa previously attributed to Tayassuidae in order to determine the proper affinities of the various genera and species to each other. 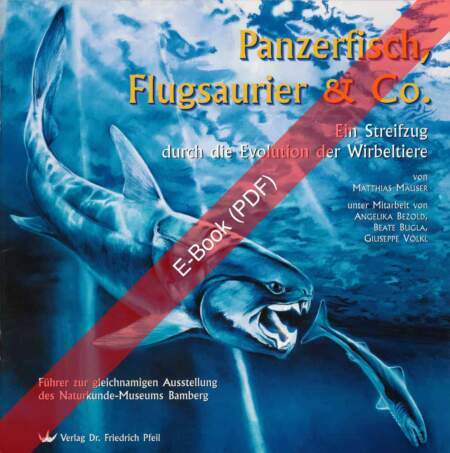 This is because some of the fossils from the Bohnerz represent a new genus and new species. Thus the paper starts by re-diagnosing the Neogene species of “Old World Peccaries” from Europe and Asia. 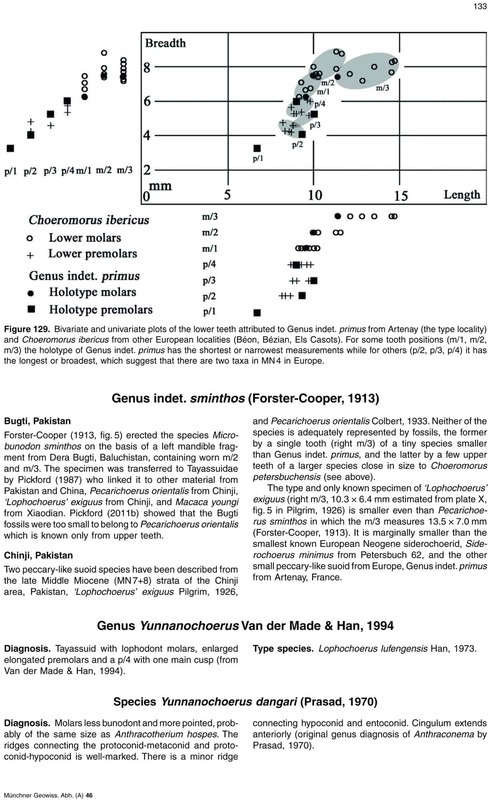 There remain several problematic issues concerning poorly known taxa such as Genus indet. primus, and the familial affinities of the genus Schizoporcus, originally classified as a suid (Crusafont- Pairo & Lavocat, 1954) but then as an Old World Peccary (Pickford, 1978), and more recently reclassified as a suid by Orliac et al. (2010, 2015). 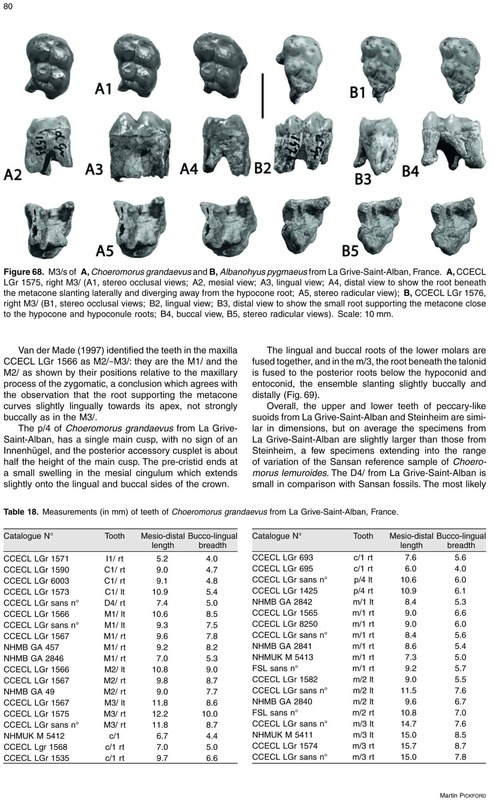 What is clear is that the concept of a homogeneous or unified family of Old World Peccaries (under its various published guises – Old World Tayassuidae, Palaeochoeridae, Doliochoeridae) is no longer tenable, the various taxa previously classified in it showing too great a diversity of cranio-dental and skeletal morphologies to be encompassed by a single family. The outcome is that four families of “peccary-like” suoid families are recognised in Eurasia – Doliochoeridae (largely confined to the Oligocene and Early Miocene), Siderochoeridae (new family), Schizoporcidae and Sanitheridae, the last three families confined to the Miocene. This paper does not consider the Hippopotamidae and the Suidae which are the fifth and sixth families in the superfamily represented in the Old World, nor does it treat the New World Peccaries (Tayassuidae).